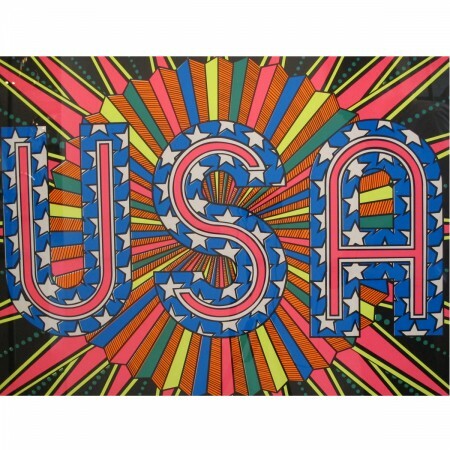 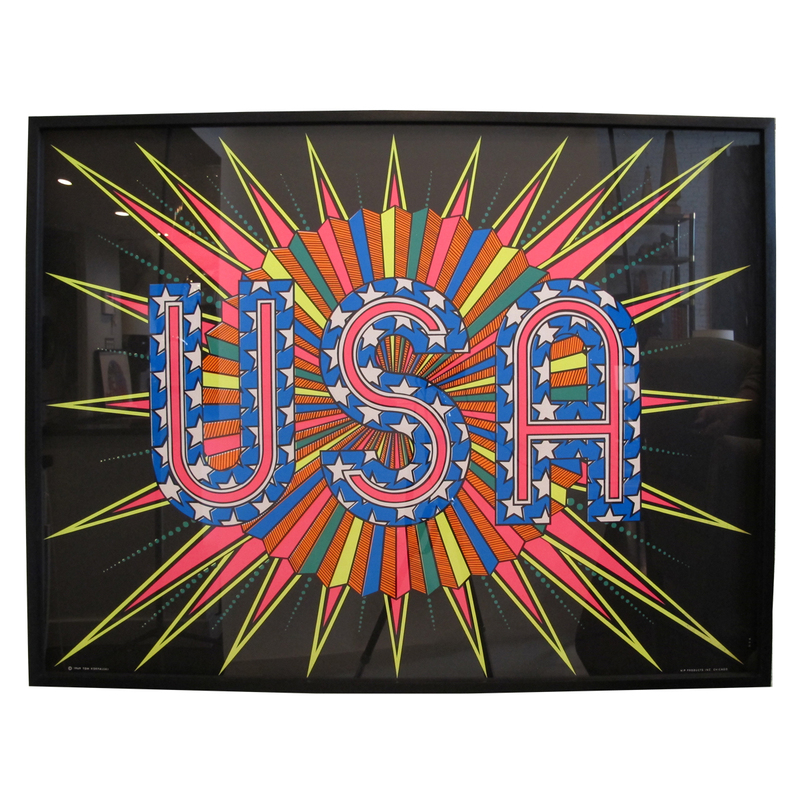 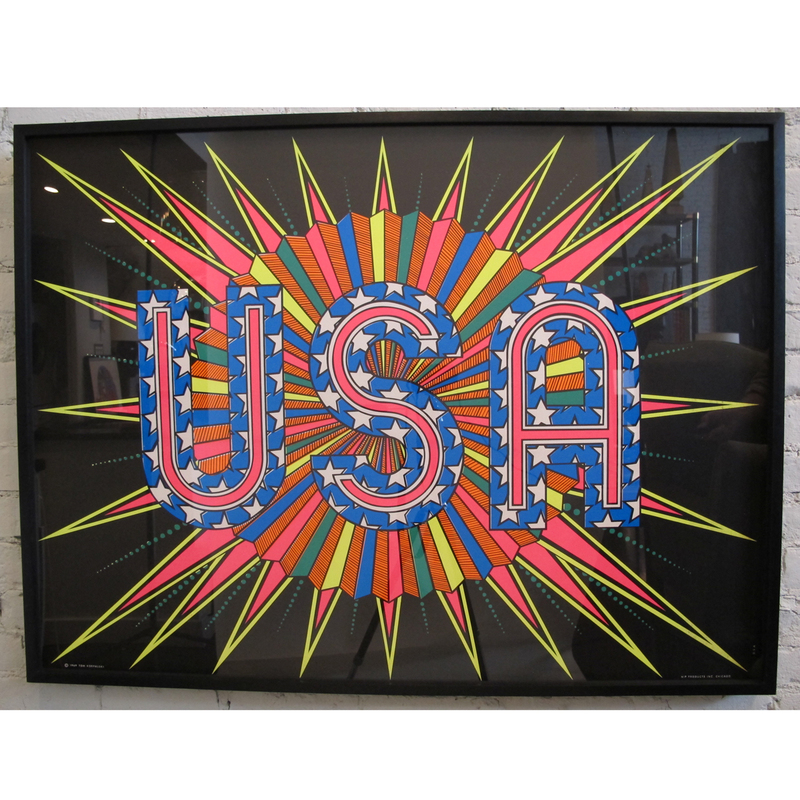 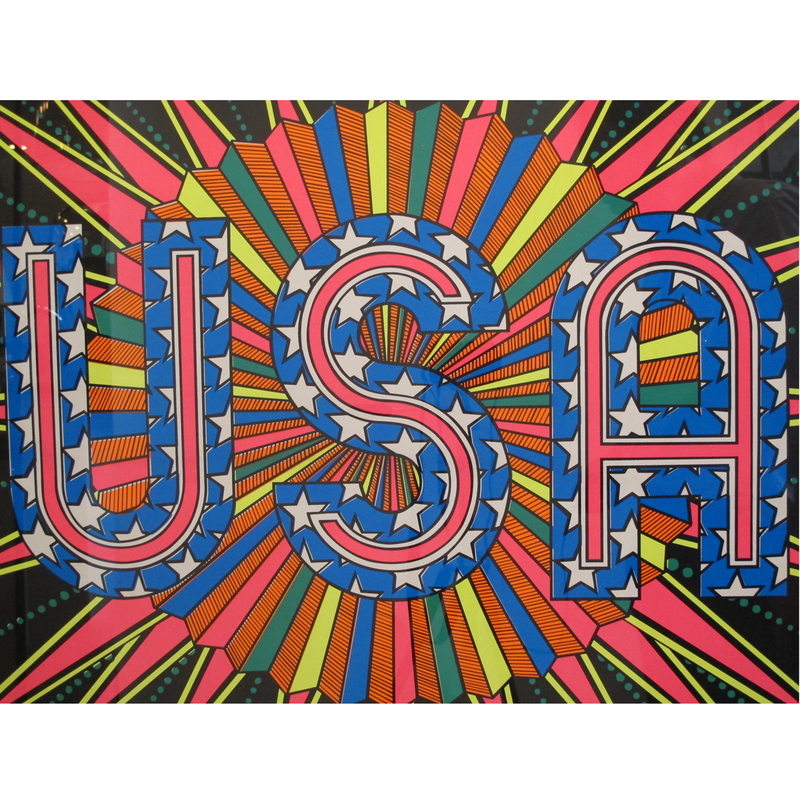 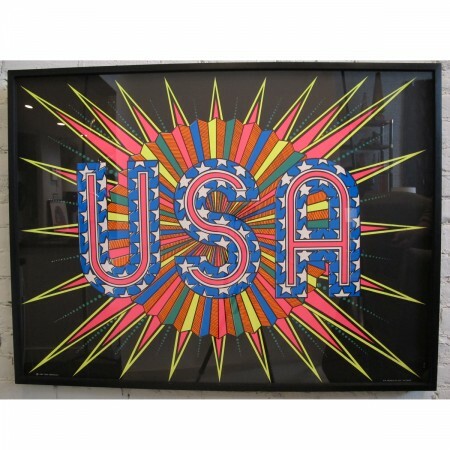 Vintage “USA” silkscreen poster by Tom Korpalski for Pro Arts. Dry mounted on acid-free backer, in new black painted wood frame with black spacers, with UV protective acrylic. 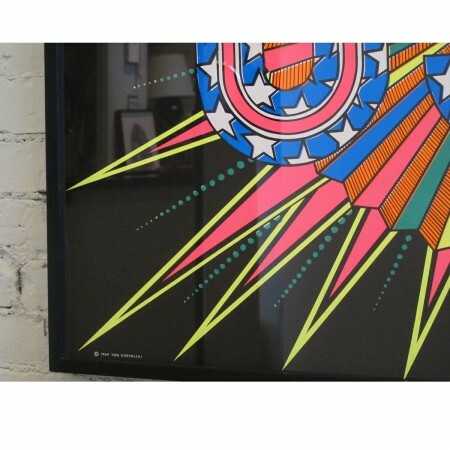 Dimensions below are for the frame – the poster measures 29.5″W x 39.5″H.